Tired of breaking your dog’s heart each time you leave him behind? 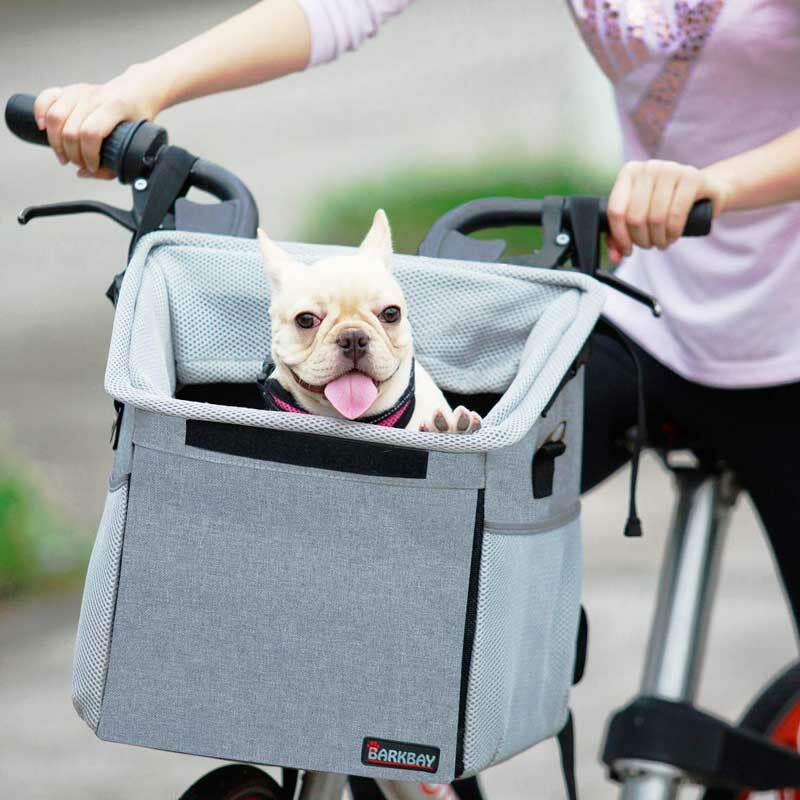 Buy a dog bike basket and you can go on your bike ride adventures together, though most are designed for small dogs. Well, most of them! Besides, who says you’re the only one who likes the feel of the wind on your face during a ride? Your furry friend does too! But the ride together is about more than having fun and spending quality time with your pet. It’s about comfort, protection and above all safety. For these reasons make sure you pick a basket that offers all three and more. Mind you, selecting one is no easy task, given the number of products at your disposal. However, by quickly going through this buyer’s guide, you’ll learn all you need to know about picking the right basket. We’ll also include our top six recommendations and hopefully deciding on one will be a breeze. Here we have a bike seat best suited for your smaller dog. Your little pup will be traveling in utmost comfort if you pick this brand. The floorboard is padded to make for a comfortable ride. And the best part is it’s removable so clean up will be a breeze. You’ll find a wire cable provided to support the weight of the basket including your dog. You can tighten the cable for added security using the Allen wrench provided. Your dog will be kept securely tucked inside the basket thanks to the mesh zippered top. You can consider partially opening it to allow your pet a little freedom to stick its head out. The mesh also ensures there’s enough air flowing in and out of the basket to avoid suffocation. Setting up and detaching the basket will take you just a couple of seconds because of the quick release buckle system. 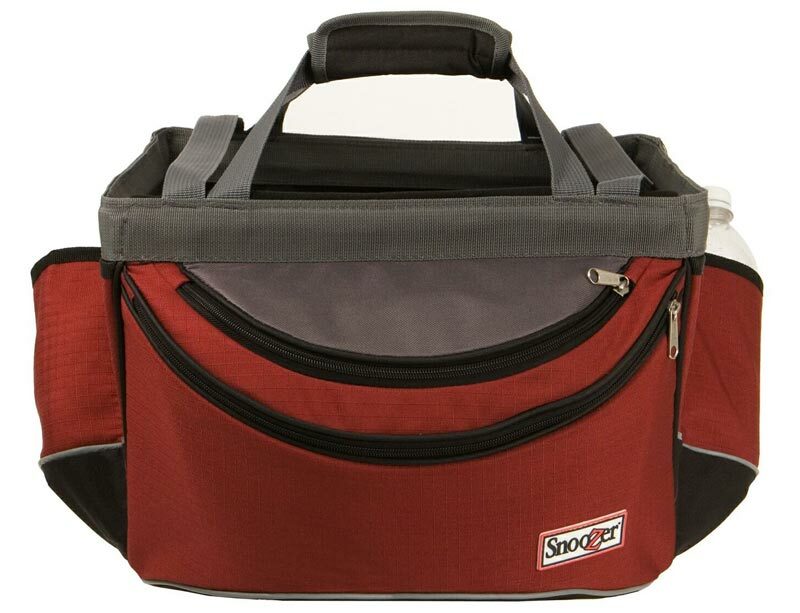 When detached, you can use this versatile unit as a portable carrier for your dog. The shoulder straps are there to prevent shoulder fatigue for your carrying comfort. It is, however, recommended to let the professionals handle the assembling of the mounting device for a thorough job. It doesn’t help that the instructions in the manual aren’t simple & straight forward. There’s plenty of room to store your items. Just make use of the front zippered pocket. If you take any water bottles you can store them in the pockets provided on either side of the basket. We can’t discuss dog bike baskets without mentioning the Travelin K9 brand. 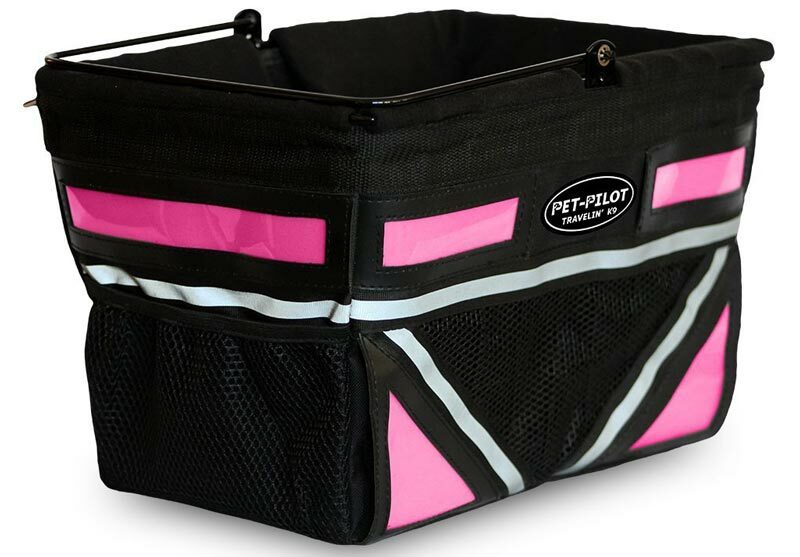 The brand’s products are known for their strength, comfort, and stability and this Pet Pilot basket is no exception. It was upgraded from the older version with a number of improved features you’ll find impressive. The sturdy steel frame is one of them. As a result, you can tell it’s built to last. You’re also likely to appreciate the “best in class” weight capacity which is actually a major drawcard on this unit. This is designed to give your pup the necessary support but just make sure your dog doesn’t exceed 8 lbs. Your pup will enjoy a cool ride thanks to the cooling airflow which is made possible by the mesh vents. Your safety concerns are also taken care of thanks to the two-point safety leash made of chrome. You can attach this leash to the dog’s harness. Installation of this basket is relatively easy and can be done in five easy steps. While most baskets only have the bottom padded, this one has a padded top edging as well. The only concern is it’s a bit small and might not comfortably fit most dogs. Looking for a relatively affordable bike basket ride? 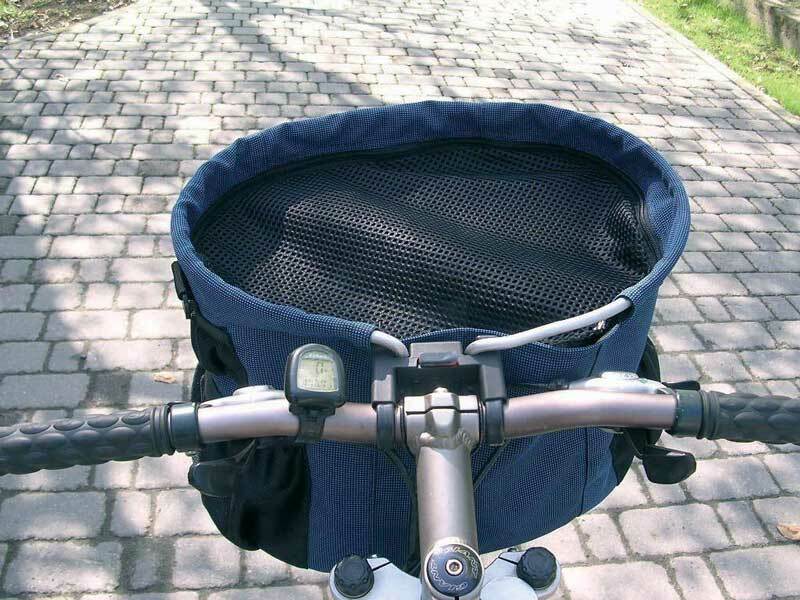 The Snoozer sport bike basket might just be for you. What’s good about this basket is you don’t need any tools whatsoever to set it up and it’s pretty easy to install. 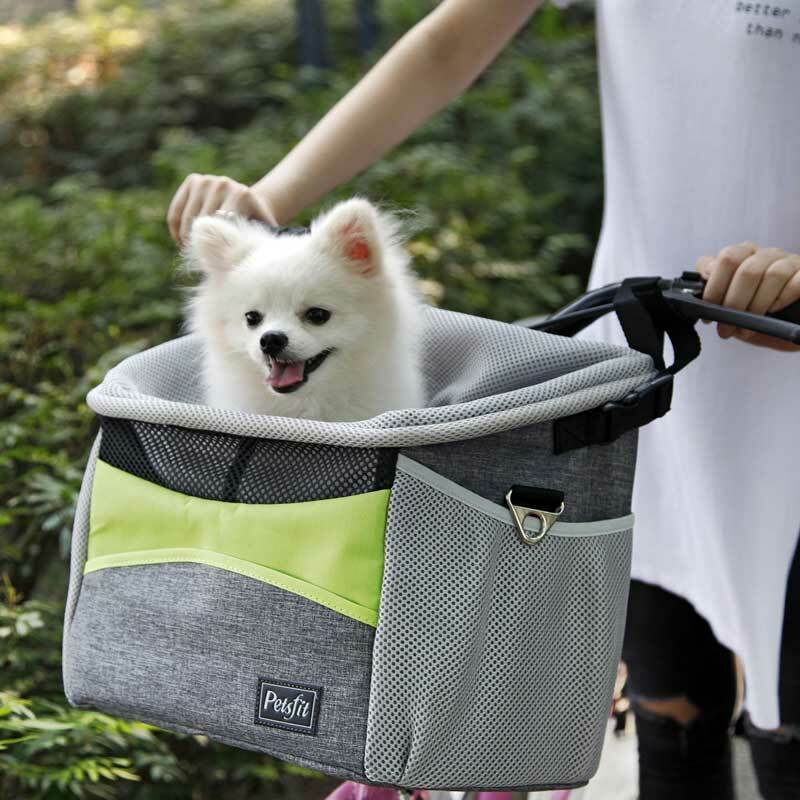 Unlike the K9 bike basket which accommodates the smaller pups, this one can carry dogs with a weight of up to 14 lbs. It won’t take up much space because it packs flat for easy storage which is another plus. Cleaning will be quite simple because the inner pad is removable for easy maintenance so your dog will be kept dry and comfortable at all times. 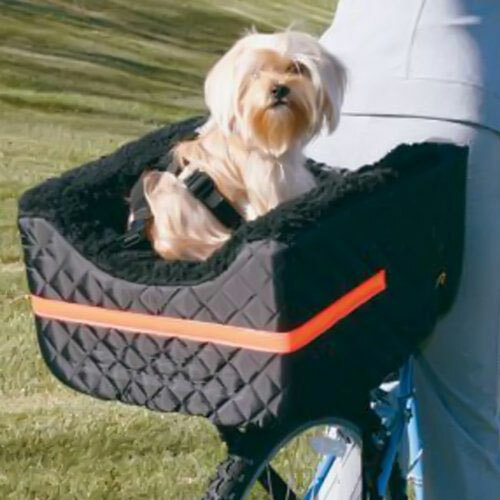 While on the subject of comfort, the basket features a chin rest so your dog can rest easy during the ride. You’ll have ample room to store your items in the multiple storage pockets provided. The rain cover can be stored separately in the side pocket when necessary. Where security is concerned, your dog will be kept safely in place via the inner leash clip. There are also thick buckles present for added reinforcement. We advise you to measure your bike and make sure they match the product’s measurements to avoid buying the wrong size. We’re not impressed with the support device that holds the basket up as it’s quite flimsy. This one houses the smaller dogs which weigh around 10 lbs. We like the stylish design and it comes in an attractive gray and green color. If the look doesn’t attract you may be the low price will as it’s not as expensive. What also impresses us about this product is the material used is pet-friendly so it won’t harm your little pup. Your dog will be transported safely in this basket which features a stable reinforced frame. The top mesh cover features a zip to keep your pet from falling out. The inner leash clip also guarantees the same. If you plan on taking your water bottle with, you can store it in the mesh pocket located on the side; Not just your water bottle but there’s also the provision to store other items in the multiple storage pockets provided. The built-in straps are adjustable to make installation easy. You can also decide to convert it into a carrier with no further assembling required. Just sling the padded strap over your shoulder and you’re on your way. What we can’t guarantee is how long the straps will last as a number of users indicated they aren’t as durable. The liner is removable for a quick and easy clean up. Simply throw it into your washing machine. Though the basket fits well on a standard bike, rather check the sizes before buying so you purchase the right fit. Here is another affordable and versatile product worth considering for your dog. You can interchange between using it as a basket bag or a pet carrier or a car seat. Transforming it from one function to the next will only take you a few minutes because it’s easy to detach. When turned into a portable carrier, you can make use of the padded straps which will allow for your carrying comfort. This way you can take your dog anywhere hassle-free, be it hiking or biking. Like the other products reviewed above, it’s also best suited for the smaller to medium sized dogs. Your dog will be kept safe & secure thanks to the adjustable safety leash provided which you can attach to its collar. This way you won’t have to worry about your pet jumping or falling out. The drawstring mesh cover is designed to allow plenty of airflow to keep your dog fresh and cool. The same mesh design also allows your dog a clear view of the scenery during the ride. There are plenty of compartments to store your valuables—cell phones included. You can also store your water bottle in the other pockets provided. Prepared to spend a little extra on your dog’s biker seat? Pick the Snoozer seat which is the most expensive on our list. Your pet can ride comfortably in this seat as you go for your trip. Thinking of going for a night drive? This seat is stitched with reflective tape for high visibility and added safety. While on safety you’ll appreciate the straps designed to securely attach the basket to your bike carrier as well as the frame. An additional three-point safety strap is also provided to secure your dog to a harness or collar depending on your preference. It’s covered in a combination of black quilt and fleece which is removable making it easy to clean. Just throw it into the washing machine. We must mention though that removing the cover isn’t as simple but it’s nothing you can’t handle—it just requires a bit of practice. Before we go any further you need to know that these baskets come in varying types with different features. You just have to pick what works for you—and your dog. The main difference between these two main types lies in how the basket is secured but nonetheless, they’re both good options. This type comes with a harness and leash attachment. You basically use these to hook up your dog into the basket. It’s a relatively secure type as it prevents your dog from jumping out. Unlike the harness baskets which use attachments, this type has a mesh top that is zipped up. It’s also effective at keeping your pet securely inside the basket. Where Will Your Dog Be Positioned? Where you prefer your dog to be positioned to allow for a more comfortable ride. Your dog’s temperament. Does it need constant monitoring or not? If it does it would be a good idea to place it where you can keep an eye on it. Whether or not it’s small or big. Smaller dogs are easier to monitor from the front. If you’re not sure which one to go with, there is an option of getting one that allows for both so you can alternate if need be. Does It Have Ample Storage? If you answered yes to this question then a basket with plenty of storage space is what you need. Make sure you pick one with multiple pockets with ample storage room. The need for this will, of course, depend on how long the ride will be. If you’re planning a full day out, it means you’ll need to carry more items with you such as treats and toys. It’s not just the number of pockets that matters but whether they’re readily accessible. Find one that makes it easy to slip your stuff in and out as required. You can also opt for one that gives you provision to store your small valuables. A basket with interior secret compartments is definitely worth considering for this purpose. Sure, the primary purpose of buying this seat is to transport your dog. But why not look for a multi-purpose versatile basket so you get value for your money? Pick one you can also use as a car seat or even your pet’s bed. Just remember that picking this all in one basket means regular detaching and attaching onto and from your bike. So, if you can find one that’s both easy to assemble & remove that would be ideal. The last thing you need is a unit that’ll take up your time in doing so. The way the basket is constructed is quite crucial. This determines a couple of factors including durability, comfort, and security. Here you must inspect the following. The fabric used to line the basket contributes to the level of comfort your dog will enjoy. Soft fabric such as sheepskin liners are ideal to enhance your dog’s comfort level. If you find a liner that’s removable it would be easier to clean. What frame is used to make the basket? If you expect it to last a long time then a steel frame is a smart option thanks to its durability. A basket with reflective features will keep you and your dog visible during night time. Aesthetics are also important. Dog bike baskets don’t have to be boring. On the contrary, you can pick a stylish design with vibrant color to match your mood! The weight of your dog is extremely important when deciding to buy a bike basket. Unfortunately, most baskets are designed to carry the small- to medium-sized dogs weighing up to approximately 20 lbs. For the bigger dogs, you may have to invest in a bike trailer so you can pull it behind you as you ride along. Which of the above words describe your dog? We’ll tell you why it’s important: an anxious dog is less likely to enjoy the trip. Unfortunately, it may want to jump off any chance it gets. This means whatever you do, make sure the basket is secured properly and comes with the necessary reinforcements. It’s advisable to place your pet in the bike carrier first and to integrate biking the the dog's daily activities. Go for a ride around your driveway and if it doesn’t freak out, then it’s less likely to give you problems during the ride. Above all, try exercise a bit of patience—particularly if it’s your pup’s first ride. 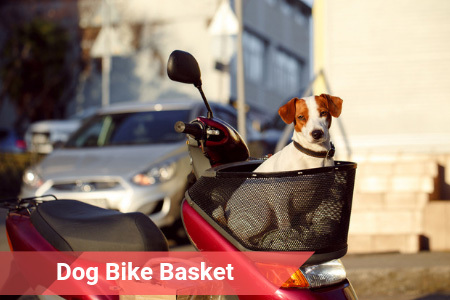 A dog bike basket isn’t a luxury but a necessity for every small dog owner who loves to ride. Pick one that offers comfort and safety & embark on your trips with your favorite four-legged pal. Ideally, it must be roomy to give your pup enough freedom. Above all, it must be secure enough to keep your dog safe at all times. From our list above, is there one that captivated your attention? If so, start including your dog in your favorite hobby from now on. 3.1 Where Will Your Dog Be Positioned? 3.2 Does It Have Ample Storage? 5 How Big Is Your Dog? 6 Easy Going or Nervous?